Forevermark Cabinetry features the use of waterborne UV finishes furnished by Sherwin-Williams on certain door styles. * The benefits of waterborne UV finishes include superior scratch resistance, low VOCs, finishes that are formaldehyde-hazard free, and reduction in environmental impact. Forevermark Cabinetry is proud to offer products manufactured using Sherwin-Williams coatings as part of our goal to offer high performance products designed and manufactured taking steps to reduce environmental impact and meet or exceed the most stringent regulatory requirements. You can be sure that the solutions you’re choosing satisfy the highest standards for performance, while meeting or exceeding regulatory requirements. Which means you’ll never have to choose between the best coatings for the environment and the best coatings for delivering a quality look that lasts. Forevermark Cabinetry is proud to offer select products* with raw materials that are Forest Stewardship Council® (FSC)certified through its supplier. 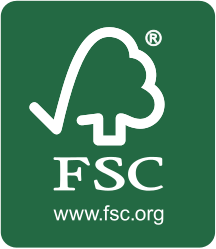 The FSC® is an independent, non-profit organization that protects forests for future generations, and is the only system supported by groups such as WWF, Sierra Club, Greenpeace, Natural Resources Defense Council, and National Wildlife Federation. The FSC® protects water quality, prohibits highly hazardous chemicals, restricts deforestation, protects customary rights of indigenous people and local communities, prevents loss of natural forest cover, protects high conservation value forests, and limits clearcuts to protect forest ecology. By purchasing a FSC-certified product, customers can ensure that their product is coming from responsibly managed sources. We are constantly striving to meet and surpass all requirements for high quality cabinetry. As such, Forevermark Cabinetry meet the California Air Resources Board’s current standards for certification. 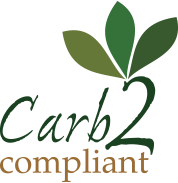 The California Air Resources Board is a department within the California Environmental Protection Agency that regulates air quality by ensuring that materials and air emissions meet the most stringent requirements. For more information, please visit www.arb.ca.gov. 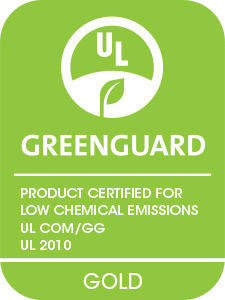 Forevermark Cabinetry is proud to further demonstrate our commitment to the well-being of our customers by offering select lines* with UL Environment’s GREENGUARD GOLD certification. Forevermark Cabinetry is pleased to offer factory assembled cabinets that are Kitchen Cabinet Manufacturers Association certified. KCMA certified cabinets are recognized in the marketplace as a quality product able to perform after a rigorous battery of tests simulating years of household use. For more information, please feel free to visit www.kcma.org/consumers. KCMA’s rigorous, in-laboratory compliance program measures the integrity of our cabinets through five tests covering cabinet structure, door and drawer operation and the cabinetry finish. Our cabinets go through a variety of weight tests to ensure they are safe, sturdy, and durable for our customers. Falling cans, your china collection and even grabbing ahold of a cabinet door during a fall are no match for our KCMA certified cabinets. Next, our cabinet doors are slide tested for 25,000 cycles. That’s 25 years’ worth of use in an average family home. Our KCMA-certified cabinetry will keep pace with your active lifestyle. no signs of damage or looseness. Finally, we heat test our cabinets to prove they can handle the inevitable temperature hazards in your kitchen with no discoloration or blistering.